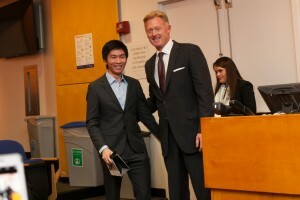 The Luxury Education Foundation is proud to present the 2015 LEF Scholarship Awards to Daniel He and Jia Liu of Columbia Business School, and Maurice Dusault and Shweta Lakhani of Parsons School of Design. 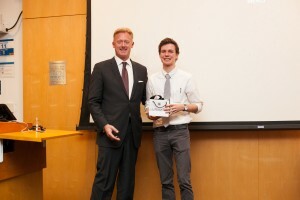 The Scholarship Program at LEF was established to be the source of annual honorary scholarships, awarded to students at Columbia Business School and Parsons who have exhibited an extraordinary level of leadership and innovation in their work and whose accomplishments are a testament to their commitment and talent in their fields. Scholarship recipients He, Liu, Dusault, and Lakhani, all received awards from Lalique, the official award purveyor of The Luxury Education Foundation Scholarship. This year, the recipients received Lalique’s Clear Heart Paperweight fashioned using Lalique crystal. The gift symbolizes the heart and soul of luxury brands: the craftsmanship and passion that goes into creating every piece. Each paperweight is engraved with the recipients’ name marking this special recognition. We would like to congratulate Daniel He on receiving this scholarship. His research focuses on self-control and its consequences. He examines consumers who exert too much self-control and forgo luxuries in everyday consumption but later come to regret their frugality as they experience a feeling of missing out. 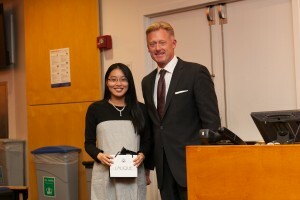 We would also like to congratulate Jia Liu on receiving this scholarship. She is working with a high-end Asian luxury department store studying how consumers’ purchase behaviors are influenced by firm’s marketing activities such as sales promotions, advertising, mailers, events, and loyalty programs. We would like to congratulate Maurice Dusault who has demonstrated uncommon maturity, authority and poise in this year’s Master Class, on the Tiffany’s team. Maurice is one of the strongest students overall in the BBA program, with a current cumulative GPA of 3.98. 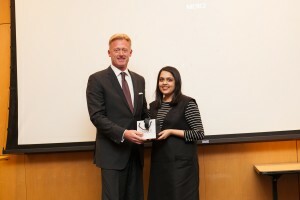 We would also like to congratulate Shweta Lakhani this year’s School of Fashion LEF Scholar who had among the highest GPAs and was one of 6 students recently selected out of 30 candidates to receive a sponsorship for her fashion design work. Shweta was on the Graff team.